Our Christian Ecumenical service will begin at 11:00 a.m. with a MDHS musical ensemble playing from 10:30 a.m. to welcome everyone. The Rev. Douglas Kranz (MDHS grad 1974) will be preaching with the assistance of Rev. Otha Sim (former teacher of MDHS prior to 1954) and St. Andrews current minister, Rev. Sam Priestly. The congregational choir will bring special music. 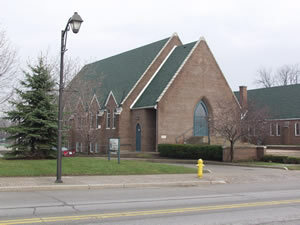 This is the Anniversary Service for St. Andrews Congregation and the congregation will be celebrating an anniversary luncheon at noon in the church basement. 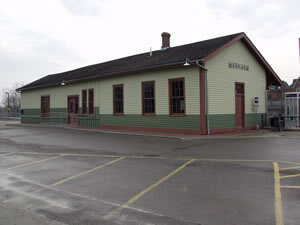 The Reunion reception will continue at the Train Station on Markham’s Main St. at noon. Refreshments will include juice, muffins, fruit, tea and coffee. This will be a great opportunity to explore the newly restored train station and continue the wind up of our 50 year plus reunion. Please plan on attending.